Treat yourself a special French toast breakfast with decadent fruit and cream. For the French toast, whisk the eggs in a bowl together with the cream, milk, icing sugar and cinnamon until well combined. Soak the bread slices in the mixture. Melt the butter in a frying pan and fry the soaked bread for 2-3 minutes on both sides, or until golden-brown and crisp. Remove the fried bread from the pan and drain on kitchen paper. 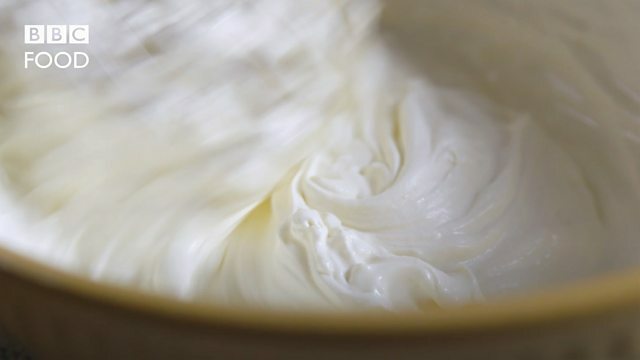 For the cream, lightly whip the cream with the icing sugar until soft peaks form when the whisk is removed from the bowl. For the redcurrant sauce, place the redcurrants, wine and icing sugar in a food processor and blend until smooth. Push the mixture through a sieve to remove any pips. To serve, place the French toast on a plate, top with the cream and spoon around the redcurrant sauce. Garnish with the redcurrant sprig and mint.